Colorado basketball great and NBA legend Chauncey Billups became forever commemorated among the greats of Colorado athletics when he was the 47th member inducted into the Colorado Sports Hall of Fame on Thursday, April 2. The ceremony ended with Billups as the final inductee of the night. He was proceeded by Spurs’ assistant Becky Hammon, who played basketball for Colorado State and became the first female assistant coach in the NBA, and former Philadelphia Phillies’ pitching sensation Roy Halladay, who spent his high school days striking out batters at Arvada West High School. Though six people were inducted in the class of 2015, Billups was perhaps the most accomplished of the newest CSHOF members. Billups, born in September of 1976, was raised in the Mile High City — a true homegrown hero. He attended George Washington High School in the early ’90s, where he averaged 23.8 points per game and led his team to two consecutive 6A state championships in 1993 and 1994. 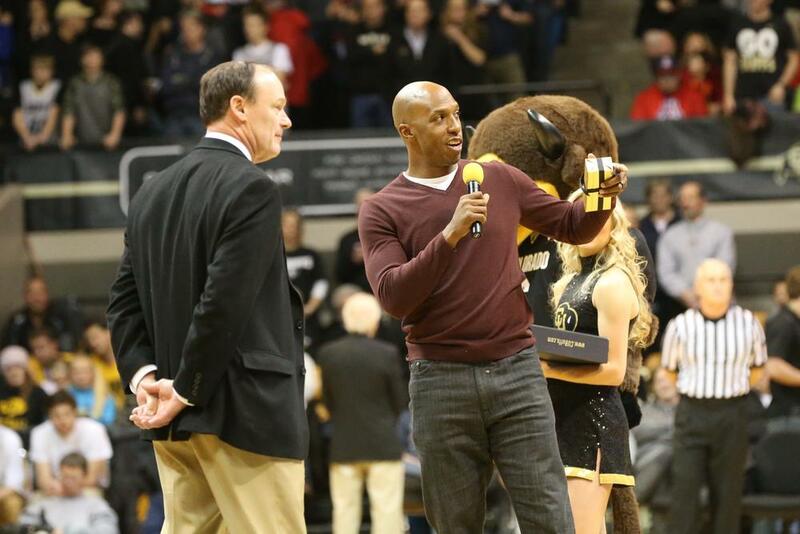 In 1995, Billups became a part of the Colorado family under Head Coaches Joe Harrington and Ricardo Patton, where he gave the Buffaloes the best two years that the program has ever seen. During that time, he averaged 18.5 points, 5.6 rebounds and 5.1 assists in 55 games. By the end of his sophomore year, Billups decided it was time to take his talents to the NBA. In 1997, the Boston Celtics selected him as the third overall pick of the NBA Draft, beginning a long and successful 17-year stay in the pros. In his second year with the Detroit Pistons in 2003, Billups earned a new nickname after hitting two big, game-winning three-point shots in a matter of weeks. Mr. Big Shot was born. In 2004, Billups helped the Pistons win an NBA championship. After averaging 21 points and 5.2 rebounds in the five-game title series that year, the league awarded him with the Most Valuable Player accolade for the NBA Finals. But, after playing for seven different teams during a 17-year period and moving around a lot, a recurring knee injury and old age — at least by basketball standards — forced Billups to hand up his jersey for good. In September of 2014, he announced his retirement from the NBA. On Thursday, the Colorado Hall of Fame recognized his achievements, which will more than likely be carried on to the national Naismith Hall of Fame in the next few years. Mr. Big Shot has officially made his mark on basketball history. Contact CU Independent Basketball Writer Alissa Noe at alissa.noe@colorado.edu. Alissa Noe is a journalism student at the University of Colorado with an emphasis in sports. She is currently the assistant sports editor and men's basketball beat writer, and enjoys nothing more than college sports during the school year.